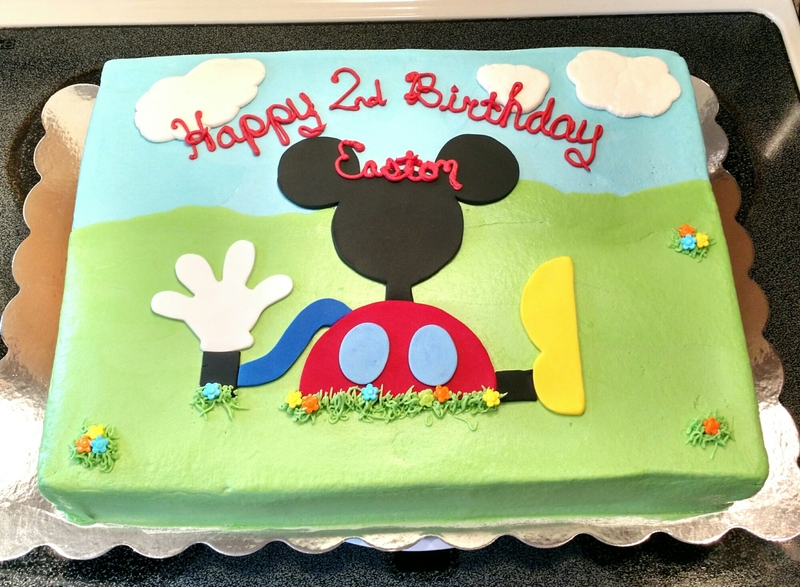 An 8″ vanilla cake iced with vanilla buttercream. 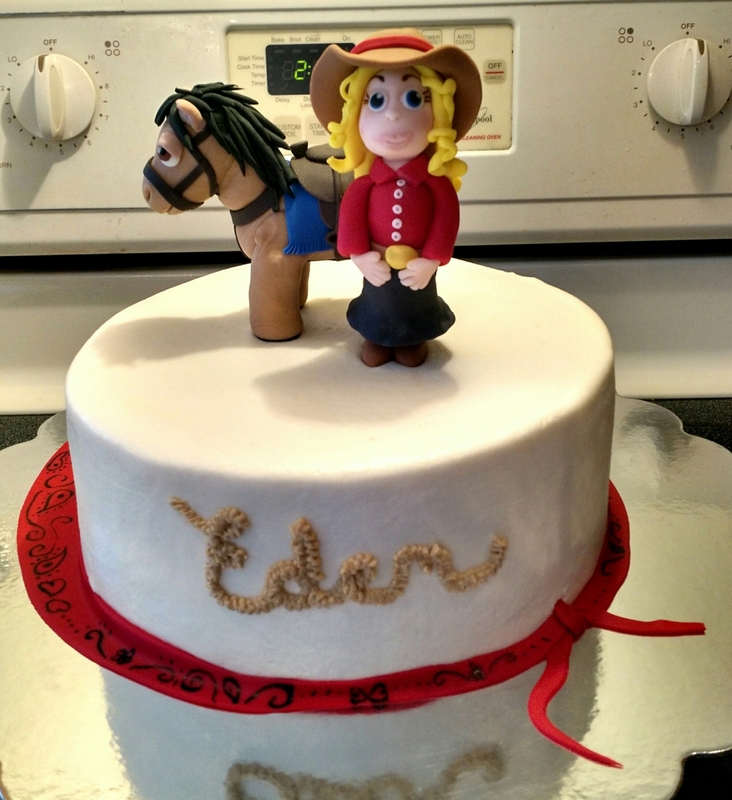 The horse and cowgirl are have sculpted out of fondant/gumpaste and the bandanna is made out of fondant. A half vanilla sheet cake iced with vanilla buttercream. The clubhouse is handmade from fondant.